Why Mediate in Florida State Court Proceedings? Mediation is a voluntary, confidential process whereby the parties to a lawsuit or dispute gather with their respective counsel, if any, and a mediator with the goal of resolving their issues. The process is voluntary, although it is often court-ordered. A mediator is not a judge or decision maker; rather, a mediator is a neutral third party who facilitates communication between the parties. So let’s break this down a bit. How can a court-ordered meditation be voluntary? In state court, if mediation is court-ordered, the parties to the action are required to appear. The process is voluntary – that is the parties are not required to reach an agreement. Generally, in Florida state courts, there is no good faith requirement for mediation. (Local rules and Federal Court rules may have different requirements regarding mediating in good faith). The parties must have full settlement authority and must comply with all court orders and rules regarding the proceedings. The process itself is voluntary and whether or not the parties reach an agreement depends upon the facts and circumstances of each case. Usually, communications held during mediations are confidential, except as provided by law. The parties should be able to freely discuss the case during mediation without concern for having their words used against them at a later time. The rationale is to encourage open dialog throughout the process. If the parties reach agreement at mediation, a signed, written agreement is not confidential, unless it states otherwise. The mediator’s role is not that of decision maker. Unlike a judge or arbitrator, the mediator acts as an impartial third party to facilitate or guide the mediation process. 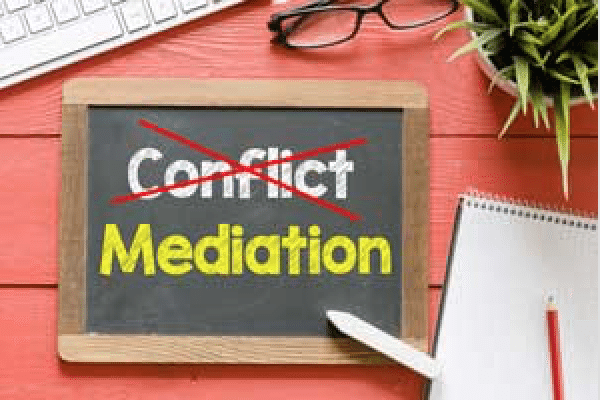 So, what is the point of mediation if the mediator isn’t making a ruling on the case? Mediation allows the opportunity for all parties to communicate freely and to have input into any potential resolution. Typically, if a judge or jury decides the case, at least one party will not be pleased with the outcome. If successful, mediation can save the time and expense of trial, with the parties having input into the resolution of their case.